Intended as a repository of photos, poems-in-progress, and news, The Jane Day Reader will blare and babble, bubble and squeak, semi-regularly. Maleea Acker is a poet and environmental journalist based in Saanich, BC. Her debut collection, The Reflecting Pool, was published by Pedlar Press in 2009. In poems that are canny mash-ups of city/travel/nature poetry (my favourite! ), Acker touches down in urban Mexico, semi-urban Spain and rural Saskatchewan. Her latest book is Gardens Aflame (New Star Books, 2012), an investigation of the Garry oak meadows on Vancouver Island. It is an exploration of a particular and preferred environment. It is a meditation on the garden, on cultivation versus conservation, on one's home place. Next up for Acker is another poetry collection, Air-Proof Green, due out in fall 2013. What do you want people to know about Gardens Aflame? 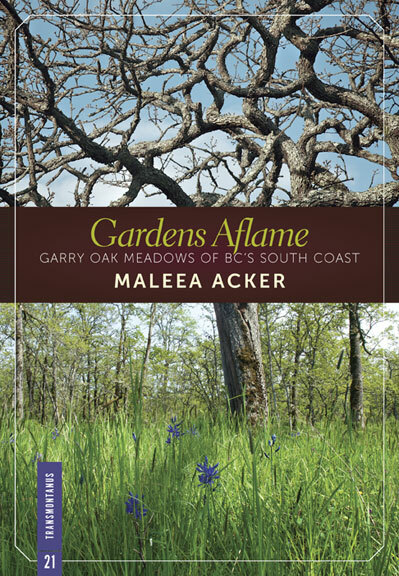 The book is the first, that I know of, that's taking a lot of the research of local scientists about Garry oak meadows (an ecosystem that only appears, in Canada, on the southern tip of Vancouver Island) and presenting it to a lay audience, albeit a very knowledgable lay audience. I tried to make it into a balanced combination of aesthetics, philosophy and science, going into the historical use of the meadows, the reasons they're important and some of the conservation and restoration work being done around the region. Really, I just want people to read it and understand their key role in protecting the remaining tracts of the ecosystem. I've seen this island change so much since my childhood; so much of the wild land is now gone. We're going to have to alter our way of thinking and our expectations and our focus in order to protect and steward what's left. In that way, I think it is a book relevant to an audience outside of BC – the ideas contained within could just as easily apply to short grass and tall grass prairie ecosystems, to the Boreal forest or to coastal Douglas-fir forests. It's funny you ask. One half of my family goes back three generations in Winnipeg. My mother was born and raised on Oxford Street, in River Heights; my great grandparents lost all their money in the crash and had to sell their home on Wellington Crescent. Before my grandmother and uncle died, I used to spend time there almost every year, when we'd visit them on Oxford (my uncle had schizophrenia and lived with his mother his whole life) or up on Lake Winnipeg, just outside of Gimli, where they had a small cottage. I love it there. I was amazed at the winter cold, yes, but also the warm nights in summer; the giant elms, the way women carry their party shoes and put them on at the door of someone's house, the arts scene, and the history, in particular, of the north end, since the other side of my family are eastern European jews (who settled in the US). The only novel I've ever tried to write takes place partly in Winnipeg. As a writer (i.e. someone whose artistic practice is predicated on time spent alone) how do you approach performance? What do you get out of it? All three strike me as quite different in the manner in which they approach their subject. That is, though you can have an emotional or philosophical stance or belief in poetry, it's a very delicate matter to negotiate. Poetry and its subjects need a sidelong glance. Unless one is a terribly skilled writer (like Jack Gilbert, for instance), it's difficult not to wither your subject if you approach in direct light. In the journalism I've been writing, I have to be careful to maintain neutrality, but I can approach a subject head on. Craft in terms of sentence structure and so on is important; the techniques of poetry (music, tone, etc) aren't really appropriate for a pure journalism piece. Creative non-fiction may be a kind of sweet spot. I can use some of the techniques of poetry (image, metaphor, attention to the particular) but have more space in which to develop a story. The journalist truth still has to be told, but I can include my own views, my stance on a subject. There are a pile of female BC poets who've worked on Alberta firetowers - the list also includes Anna Swanson, Bren Simmers, and Emelia Neilsen. How did spending summers in a remote firetower affect you? It taught me how to see, how to listen, how to be alone. Those years are a wellspring I think I'll continue to benefit from for the rest of my life. What are you reading right now? What are you writing right now? I'm reading Lynn Coady's The Antagonist, which says something about how good her book is, as I am no longer a big novel reader. I'm also reading a lot about, (to borrow or steal Tim Lilburn's idea), how to live in the world as if it were home. Essays on ecology by Stan Rowe; new ideas on environmental philosophy by Timothy Morton; The Ecology of Eden by Evan Eisenberg. Some of this is for a new book I'm beginning research on about invasive species across the country. And then the usual assortment of poetry and poetics – Dean Young and Matthew Zapruder are high on my list right now, and Zagajewski's essays in Another Beauty; Hass' new essays. I'm trying to walk alongside poetry, and write when it's around, but mostly, I've been in editing mode for my second book of poems, due out in August with Pedlar Press (Toronto). Ariel Gordon is a Winnipeg writer. Both her collections of poetry, HUMP and STOWAWAYS, won the Lansdowne Prize for Poetry. 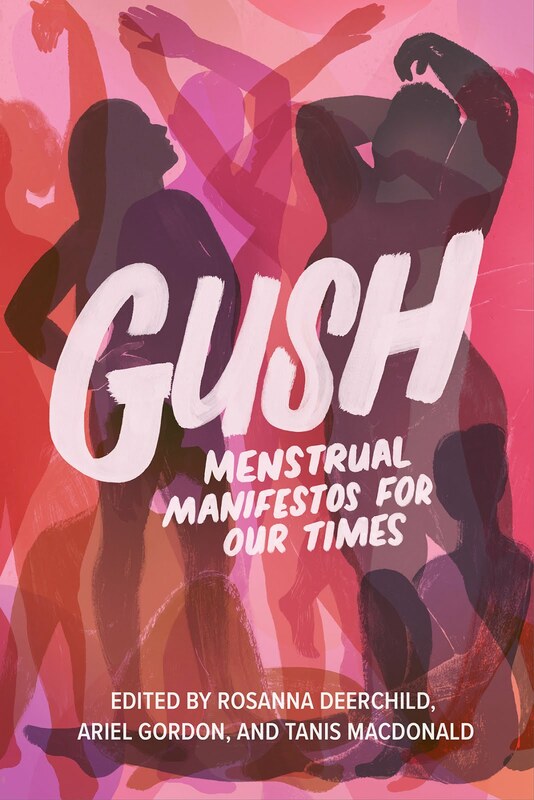 She recently co-edited GUSH: menstrual manifestos for our times with Rosanna Deerchild and Tanis MacDonald. In 2019, she will publish two tree books: essays with Wolsak & Wynn in spring and poetry with At Bay Press in the fall. "GUSH is a letter to the world declaring that feminists everywhere are ready to take back the period and claim it for ourselves." —Courtney Dickson in Herizons. "I expect GUSH will be nonetheless passed around classrooms, as well as book clubs, women’s centres, office towers and break rooms. And I hope this sharing and the conversations that no doubt ensue are not hushed and tittering. I hope teachers, counsellors, parents and partners bookmark pages, highlight passages and display the book on prominent shelves." —Katherine J. Barrett in Understorey. "We love GUSH! "—Open Sesame Bookstore, Kitchener. Winner of the 2015 Lansdowne Prize for Poetry / Prix Lansdowne de Poesie at the Manitoba Book Awards. 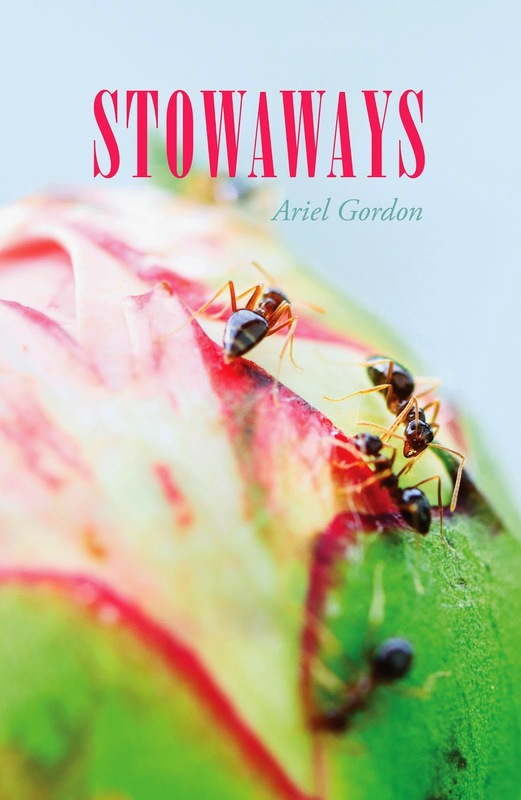 "Stowaways is well imagined and well crafted, each poem tight, the poet’s attention evident. From wildlife to the clutter of the everyday to “how-to” offerings, the reader is charmed and enticed by the poet’s light touch and sure pen. Images jump out at us, grab us by the throat, leave us gasping. Ariel Gordon’s second collection is as strong as the parts of its sum.” —Margaret Michele Cook, Katia Grubisic, and Paul Savoie, judges of the 2015 Lansdowne Prize for Poetry. occasional tenderness let slip amidst a clearly unromantic stance and matter-of-fact prairie landscape. With its freshness of metaphor and crazy juxtapositions, its ironic and often comic twists in narrative, Stowaways is a collection that will hold readers' eyes and play with their wits to the end. "—Gillian Harding-Russell, The Goose. "Though the cover copy promises poems that are 'smart and gorgeously funny' — and they do have those qualities — Ariel Gordon’s voice is more than that. Sometimes within a single poem, she gives us laugh-out-loud humour followed by a poignant smack across the head." —Kimmy Beach, Canadian Poetries. "Adept and assured, Stowaways swaggers." —Jonathan Ball, Winnipeg Free Press. "The poems in this collection grapple with both the wild and the mundane, the animalistic nature of nature and relentless responsibilities of parenthood." —Mark Sampson, Free Range Reading. Winner of the 2011 Lansdowne Prize for Poetry / Prix Lansdowne de Poesie at the Manitoba Book Awards. "The focus of Hump is the rich experience of motherhood and marriage on the one hand, and of city life in the integrated context of the natural world, which is everywhere engaging, fierce, beautiful, and unstoppable. This is capable, exuberant writing, at once passionate and meticulous. Hump is a worthy first book indeed." —Michael Harris, Kenneth Meadwell, and Serge Patrice Thibodeau, jurors for the 2011 Aqua Books Lansdowne Prize for Poetry. “Ariel Gordon is superbly, supremely, a poet of the body. She finds words for the physicality of the forest, of the garden, of pregnancy. Hump speaks the erotics of being alive and being in love with being alive.” —Robert Kroetsch. 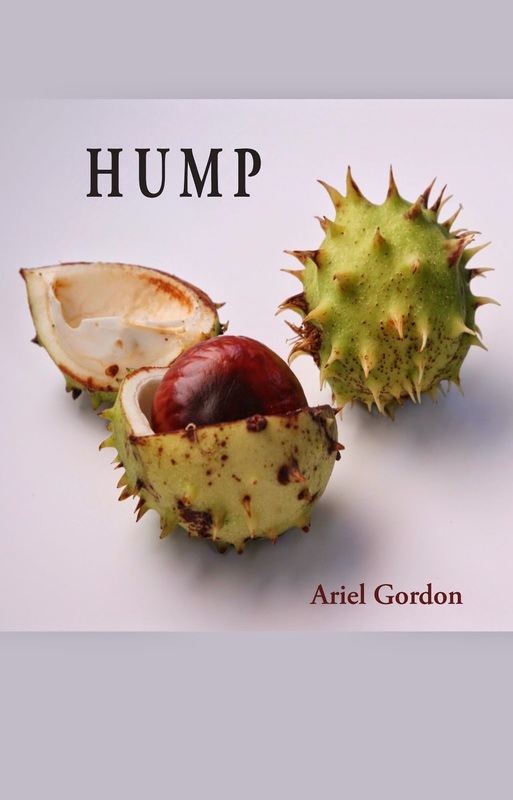 "Brimming with finely crafted poems that thrum with life and love, Hump is indeed a very promising debut." —Fiona Timwei Lam, Contemporary Verse 2. “Not so much sweetness and light, Gordon channels Adrienne Rich's dichotomy of love and frustration with her realism.” —Zanna Joyce, Winnipeg Free Press. "If you don't know Ariel's work, I can recommend her book Hump, which I keep on my bedside table, along with all my stuff on LOST EXPLORERS and CASTAWAYS and HELLISH SIEGES, as things to pick up and simply open and starting reading anywhere, which is the pretty much the best review a book can get." —Darryl Joel Berger. “Hump is gentle and sly, but also as sharp as baby teeth and poison mushrooms. And it’s called Hump.” —Quentin Mills-Fenn, Uptown Magazine. Why is my name Ariel Gordon and this blog entitled The Jane Day Reader, you ask? Well, my middle names are Jane and Day, after my grandmothers, Ade Augusta Rooseboom (who was called Day Laban after she married my grandfather and moved to Canada) and Anna Vida Mary Barrett-Hamilton (who became Jane Gordon after her immigration and later marriage). When I was fourteen, I seriously contemplated using "Jane Day Gordon" or "J.D. Gordon" as my pen name. And then realized that there was no point in having an alternate identity in no-degrees-of-separation Winnipeg. Al Simmons, Where did you get that hat? Where I've been and where to find me. Pillette Village Reading Series winter season done! © Ariel Gordon and The Jane Day Reader. Unauthorized use and/or duplication of this material without express and written permission from this blog’s author and/or owner is strictly prohibited. Excerpts and links may be used, provided that full and clear credit is given to Ariel Gordon and The Jane Day Reader with appropriate and specific direction to the original content.